Menaka's Bloggy Blog My random ramblings. Some months ago, Bubbles and I and our nutcase friends, who by the way feature in my blog through periodic mention; visited Siena in Italy. (Read Siena blog here) We also paid homage to its rival city: Florence. They say you either like one or the other, Siena for its gothic-style buildings or Florence for its renaissance-inspired architecture. I can’t really make up my mind which city I prefer. It kind of represents the non-committal person I am…and like most psycho-analyses reveal, this one can be traced back to childhood. Mum: (looking murderous like scary Goddess Kali and wielding a ‘rotan’ i.e. a feather duster that doubles as child-beating weapon) ARE YOU GOING TO COME HERE OR DO YOU WANT ME TO CATCH YOU? IF YOU DON’T COME HERE AND I CATCH YOU, YOU WILL GET TWICE THE BEATING!! But I digress. Where was I? Oh yes, Florence. 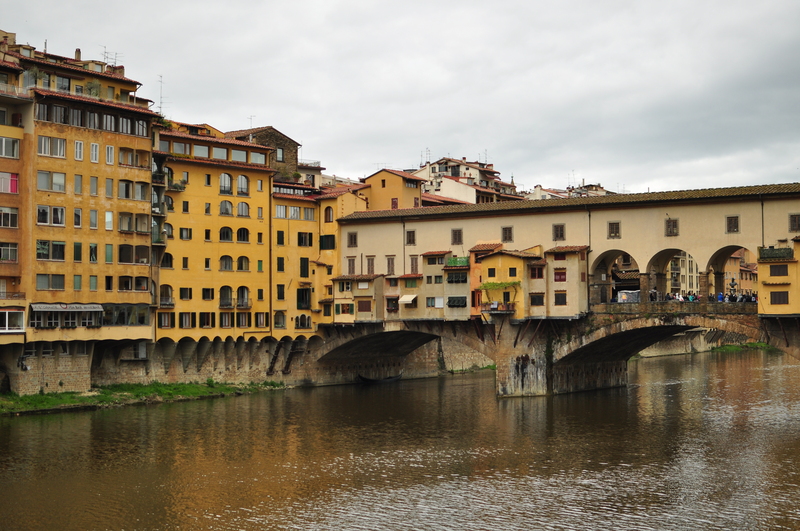 Here’s Ponte Vecchio…one of the most recognised sights of Florence. 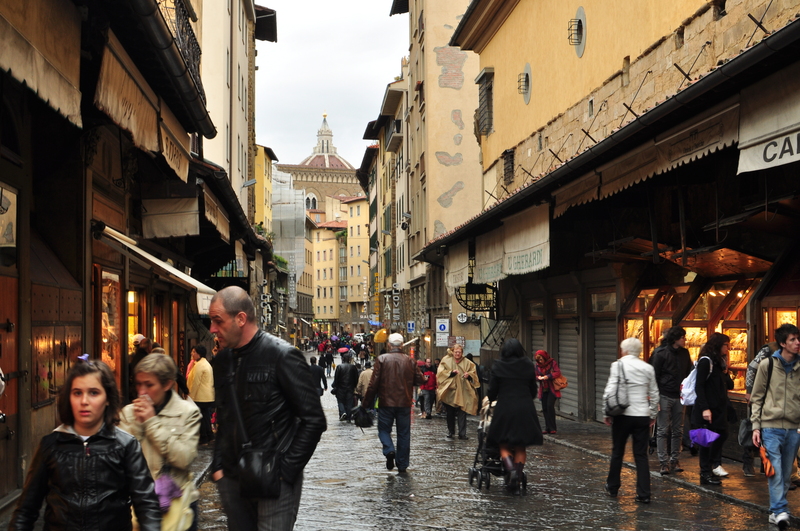 Ponte Vecchio does not boast of the pointed arches or elaborate mythical creatures that epitomise Gothic buildings. Instead it almost looks like a nondescript apartment over the river, but yet there is something enchanting about this structure, with its arched bridge crossing the Arno river. The walk across the bridge is equally bewitching. There are interesting shops that line both sides of the bridge. Apparently, the economic concept of bankruptcy originates here. When a merchant could not pay his debts, the table on which he sold his ware (the “banco”) was broken (“rotto”) by soldiers. This practice was called “bancorotto” – broken table, or possibly “bancorotta” – broken bank. Without his table, the merchant was not able to sell anything. Here’s the Statue of Neptune. He’s a bit too bulky for my liking and there’s something odd about the kid standing between his legs. Wait a minute…he’s not a kid. He’s got pubic hair! So, there are two odd things about the kid-statue. Look at his ding-ding. It looks frayed at the edge! Pray tell what that’s supposed to be! I’m intrigued. So there you go: possible another difference. 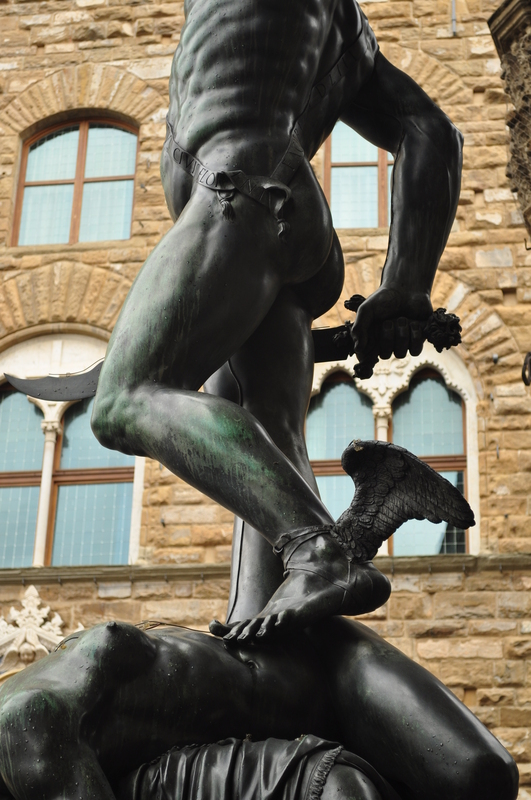 Maybe there was so much testosterone coursing through the veins of Florentine men that they reached puberty at seven! 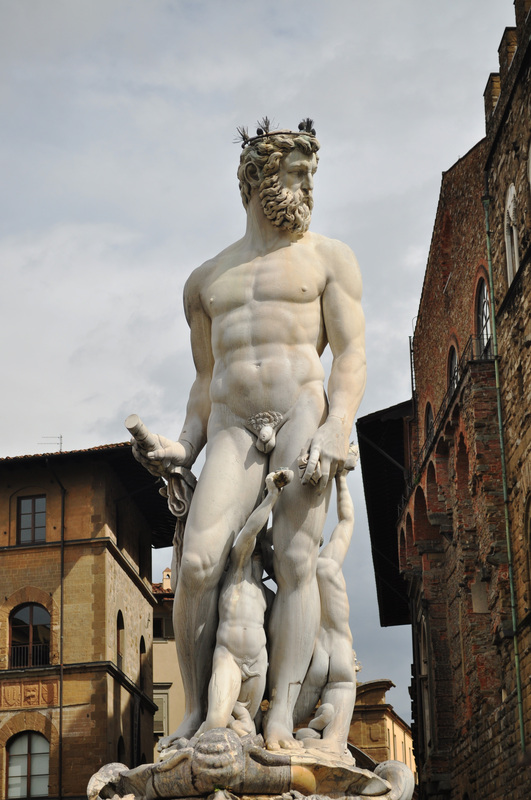 Have you noticed the frayed genital before or seen any other odd statues in Europe? Do tell me about it! Who eats ‘ice cream’ on a plate?! Why unplanned holidays are fantastic! Where to travel in 2012?